There were two kids, let's call them young adults. They fell in love on a beach the summer before going away to college. They spent their late teens writing "I love you" letters, getting to know each other better and having fun. It was school, work, making friends and making mistakes. It was breaking up and making up in the early 20's, learning about communication and forgiveness. I knew in my heart of hearts that he was the one I wanted to be with and raise a family. Our mid 20's were rough, to be honest. First time parents and to twins at that! We finished college together, we have learned how to be a team when parenting, we have learned to accept one another, and we have experienced so much joy a family. In our late 20's, with plenty of communication, we have explored our dreams of who we want to be individually, how we want to grow as a family, and with the commitment to support eachother and stay a strong unit, our family love story is sealed. 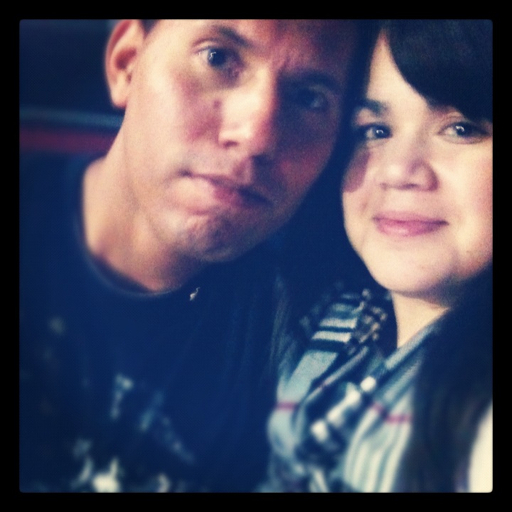 He is my best friend and I am so proud of our love! It inspires me to be a better! And it makes me look forward to our future! I was also inspired by Lauren from The Trunk Blog to write my love story! 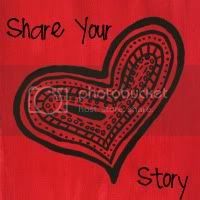 Click on the heart below to read others who have shared with her Love Story Linkup! This story is so cute. I love how you also discussed the struggles of your relationships because let us be honest we all have our struggles and that is what makes us all stronger together. Thank you for linking up and I hope you had a great Valentine's Day! Thanks Lauren. I really enjoyed your story too, kind of reminded me of my own story. The link up was a great idea!